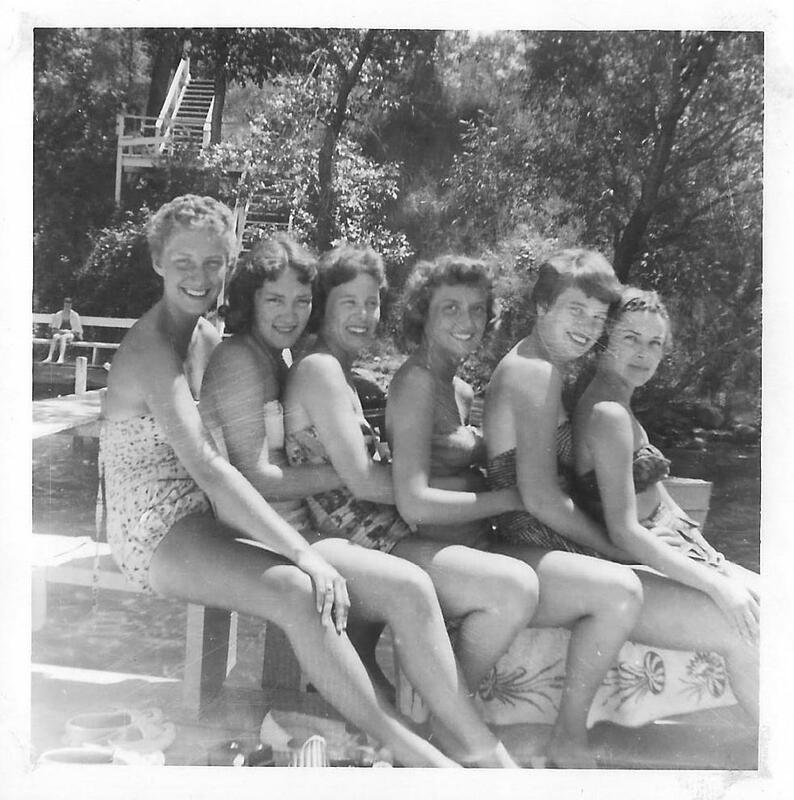 As teenagers in the 1950s, the ideal summer job for my girlfriends and me was anything in the evening: ushering at the theater, babysitting, telephone operator, or car-hopping at a drive-in eatery owned by one friend’s parents. Daytime could then be devoted to our top priority: Getting a suntan. The ritual began on the first warm spring day (in Iowa) and continued into fall, weather permitting. We greased ourselves with baby oil laced with iodine. Baby oil cost less than suntan lotion, and the reddish-brown iodine was said to deepen tans. We stretched out on blankets at the sandpit swimming hole or in our backyards and rotated our bodies front to back and back to front, like a turkey on a spit. All summer we compared tans and worried about losing color. When our outer arms got tanner than the inner side, we likened the lighter color to a frog’s belly. After graduating to full-time jobs, we relished sunny weekends. Trying to cram seven days exposure into two, we ended up with severe burns, and then peeling skin. But at least everyone knew we were working on a tan. Life progresses in odd ways. I had a swimming pool at my first house in Florida, where I could tan privately, and I currently live ten minutes from Siesta Key Beach, ranked as the best beach in America (2011). However—I have more sense than I once had, as well as the knowledge and proof that sunshine damages skin. That news wouldn't have stopped me when I was young and invincible, but as I said, I'm wiser now. I've learned that there are more important things than skin tone. I limit my exposure and use lotions that supposedly filter damaging rays. I say supposedly because I read recently that studies have shown that these lotions do not effectively block dangerous rays. Another study stated that constant use of sun-block lotions is not good, and that five to fifteen minutes of unprotected exposure to sunshine is beneficial. The sun's vitamin D helps ward off osteoporosis and some types of cancer, lowers cholesterol, boosts energy, enhances memory and concentration, and promotes sound sleep. Wow; those benefits sound too good to be true. But what about wrinkles and dry skin? Maybe I'll go for a walk on the beach and ponder it. The question is: With sun-block or without?